Home / Blog / Stop Littering! 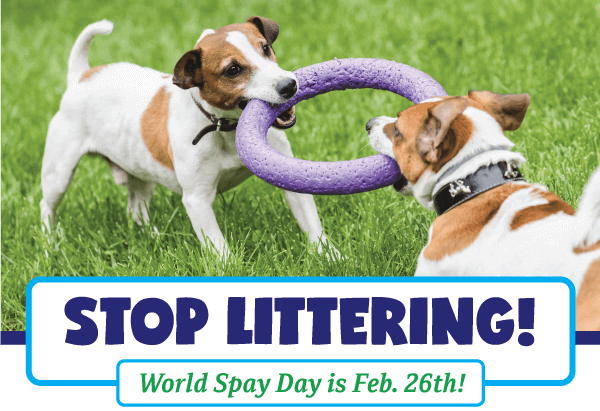 World Spay Day is Feb. 26th! 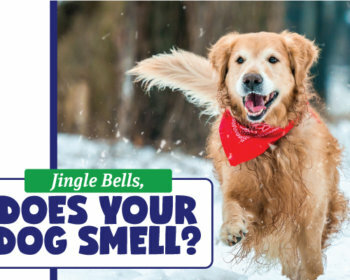 It’s also the 25th anniversary of this event, recognizing the invaluable role spay (and neuter) procedures have had in controlling the pet population. We want to say a big thank you to our clients who have taken the responsible step of altering their pets and who are part of the solution to this terrible problem. Yay YOU! individualized patient and anesthesia monitoring during the whole procedure that includes, heart rate, EKG, Pulse Oximeter and a trained or certified technician. 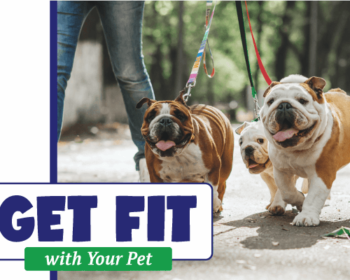 Also, when your pet is altered here, you’ll get a post-operative follow-up with our medical team so you establish a veterinary relationship for the future. 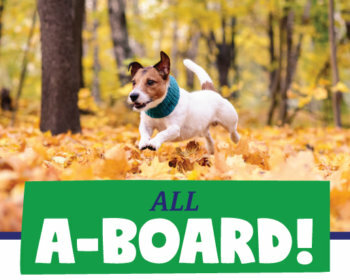 We’d be happy to answer any questions you may have about the spay/neuter process, surgery, risks and health benefits. Just give us a call at (580) 215-1960. 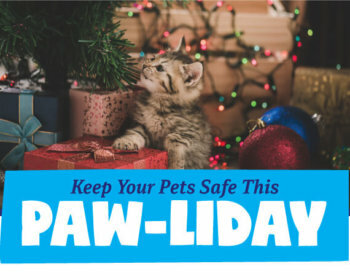 Keep Your Pets Safe This Paw-liday!